Providing a safe and natural alternative to hospital birthing by supporting moms throughout the birth experience. Respecting the parents as the primary decision makers for their birth and postpartum care is a value we hold close to our heart. Prenatally we take the time to talk about any concern or question the mom or family may have, spending about twice the amount of time each prenatal appointment than medical care facilities do. 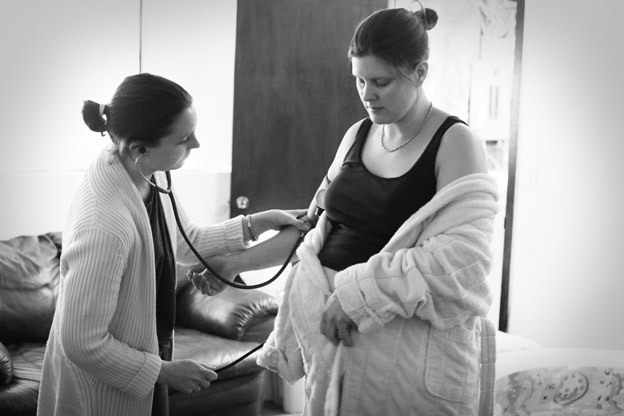 We strive to include husbands, mothers, sisters, or any other family members in the pre natal care and birth, making care with us an individualized experience. Because our facility is set up to resemble a home or a spa (rather than a medical setting), most people find it easier to relax and discuss intimate concerns and desires. We listen. And we offer education. We then support the family in decisions regarding their baby’s health. The parents we work with make health decisions for their own families without coercion or intimidation. An expecting mother knows that the midwife her family has come to know and trust throughout pregnancy will also be with them throughout labor and birth. The family unit is cared for as a whole keeping mommies and babies together at every opportunity. The newborns are placed directly on the mother’s chest following the birth and allowed to stay there throughout the newborn exam. Umbilical cords are allowed to fully oxygenate the newborn and are only cut at parents’ request. 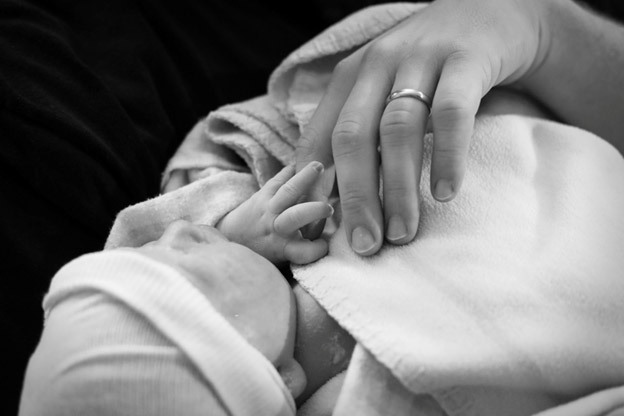 We understand that babies and parents have a heightened ability to bond in the first hours postpartum. Bonding of the family helps reduce incidences of abuse, neglect, postpartum depression, breastfeeding difficulties, stress, infection and disease, sibling rivalry and divorce. We honor this sacred time by encouraging skin to skin contact with the newborn and keeping the atmosphere dimly lit, quiet, warm and free of distractions or interventions. 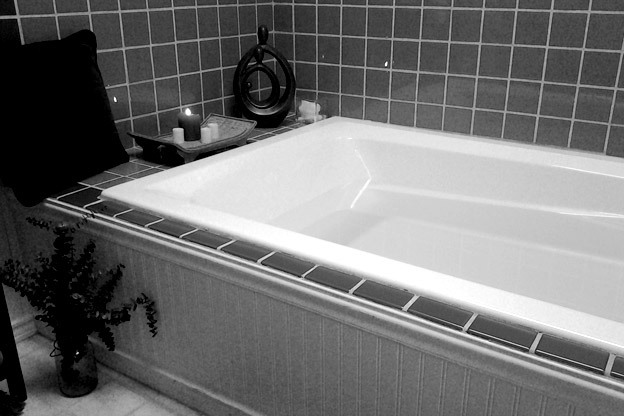 We often offer an herbal bath for moms and newborns. Newborn care, such as weighing the baby, bathing or clothing the newborn are either done by the family themselves or by us only with parental permission. Waterbirths provide natural pain management for a laboring mom. It also reduces the risk of birth injuries. Babies emerge into an environment similar to the womb, allowing for the optimal gentle birth. The hospitals in our area do not accommodate for waterbirth and only occasionally allow laboring moms to spend time in a bath. Although waterbirths are an option at home, not everybody has the accommodations for a large birthing tub. Parents can choose which family and friends are present at the birth, if any. Relaxation techniques including massage and aroma therapy can be easily added to the laboring mom in water. Fathers are welcome to participate as hands on as they want, including being in the water with the mom as a support person or to catch the baby. The baby is never taken from the parents for examination or to be given medications. Newborn hearing screening is provided during the examination. Newborn eye ointment and Vitamin K shots are available upon request but are not routinely administered. Postpartum instructions are given in writing and verbally. All official record keeping such as birth certificates and newborn exams are completed by our office. We can complete Montana’s newborn screening test. The family is welcome to stay for 24 hours after the birth although some may stay longer or shorter. The current facility includes a birthing room with queen sized bed, waterbirth facilities, a private bathroom, kitchenette, massage room and waiting area. Temperature and lighting options are easily changeable to accommodate individual preferences. Refreshments for the birth team are offered at no additional cost and moms are encouraged to eat and drink during labor and postpartum. Important study that brings a fresh reminder of the benefits of midwife-led care outside of our overburdened hospital system. Most importantly, their babies were born healthy and safe. Ninety-seven percent of babies were carried to full-term, they weighed an average of eight pounds at birth, and nearly 98% were being breastfed at the six-week postpartum visit with their midwife. Only 1% of babies required transfer to the hospital after birth, most for non-urgent conditions. Babies born to low-risk mothers had no higher risk of death in labor or the first few weeks of life than those in comparable studies of similarly low-risk pregnancies. This study adds to the large and growing body of research that has found that planned home birth with a midwife is not only safe for babies and mothers with low-risk pregnancies, but results in health and cost benefits that reach far beyond one pregnancy. Our midwives strive to promote health for the well-being of a whole person not just physical aspects. This circle represents the whole person. 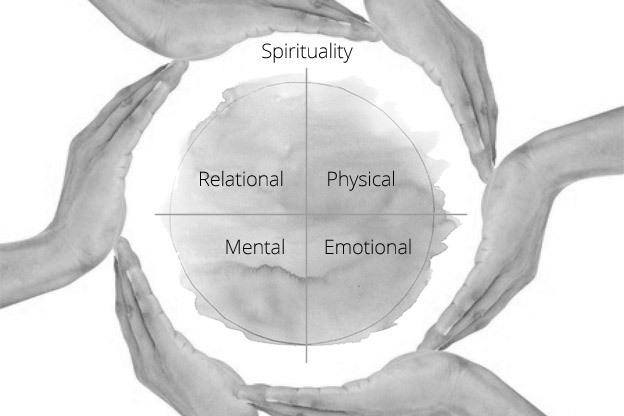 Each aspect of the circle is equally important for the well-being of the individual. Note that “Spiritual” is listed separately because it cannot be fit into one category but instead is in all four quadrants. The primary focus of a medical care provider is the physical aspect of health, but our midwives strive to promote health in all quadrants. In addition to doing physical exams we offer childbirth education, written information, and opportunities to ask questions. This supports optimal health in the category “mental”, representing knowledge and information. Care given to increase wellness in the “emotional” category includes conversations about fears and desires prenatally, as well as postpartum. Our postpartum doulas are uniquely trained to recognize emotional distress in new mothers and provide compassionate responses. Conversations about a mother’s relationships with her parents, her children, and her partner offer insight for the midwives about emotional well-being. Care is taken throughout prenatal birth and postpartum to promote bonding of the family unit. Class activities promote cooperation and communication between the mom and dad. Siblings are always welcome to ask questions and participate in births with activities like cutting the cord or dressing the newborn. These are all measures taken to promote “relational” well-being of mom and baby. Lastly, prayer and acknowledgement of spirituality is integrated into every aspect of care.